Dugongs live in tropical and subtropical coastal and island waters, spanning some 37 countries and territories. Listed as vulnerable to extinction on a global scale, the dugong is the only herbivorous mammal that is strictly marine. Under the most optimistic conditions, a dugong population is unlikely to increase at more than about five percent per year. 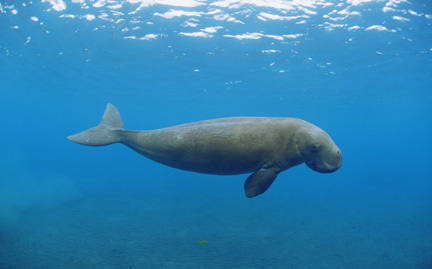 Dugongs are at risk from habitat loss, disease, hunting and accidental drowning in fishing gear.